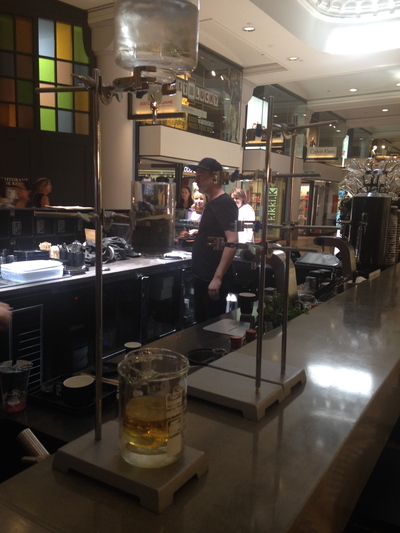 Due to the better than expected success of their Westfield Sydney cafe, T2B have just opened up in Sydney's Queen Victoria Building. 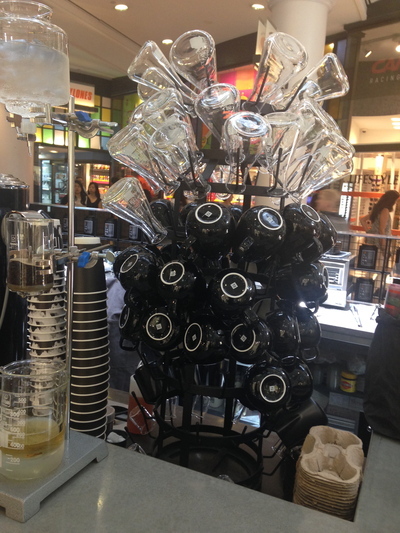 In fact, the second T2B cafe has opened up to some tea and food loving Sydney siders as of the 16 October 2013. A little different to their nearby neighbour, however the service and tea experimentation reigns. 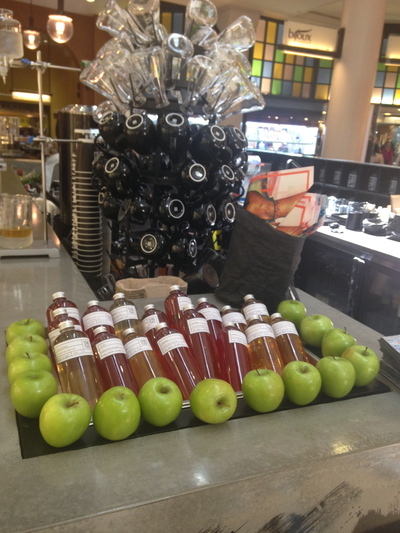 T2 teas are served, where you can customise your own tea or choose one from the menu. The list is extensive, and goes on for a few pages. 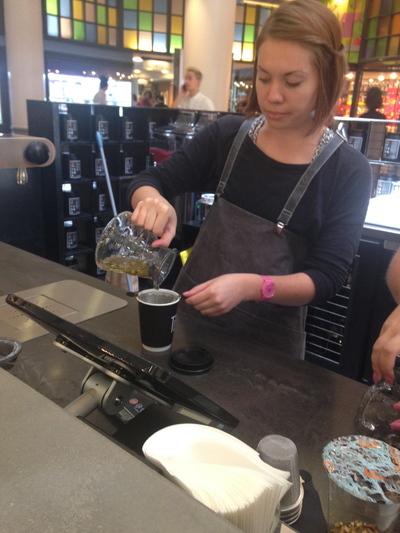 The Queen Victoria Building store is also keeping this tea love simple. One size - one price - $5 a pop. If cold tea takes more of your fancy, the beverage world can still be your oyster. 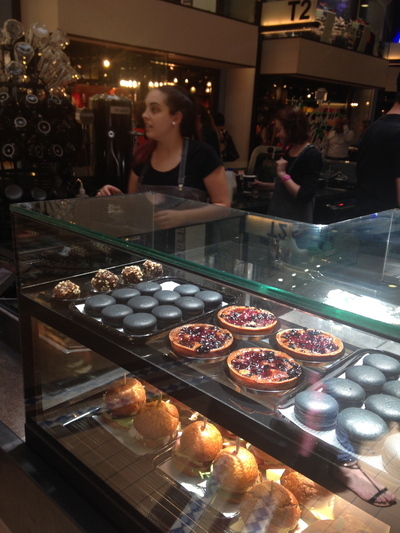 A few different choices spark interest at the front counter, and the usual cakes and macarons are also available. Furthermore, if you're also feeling a little peckish - some sliders are also available. If you prefer your blend in the organic family, that is fine too. I enjoyed a blend of chamomile, lavender and green tea. The blend is named something along the lines of Surfers Fun. 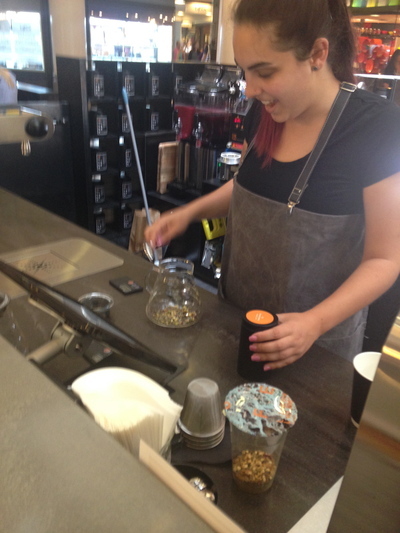 It was fun to watch this blend being made, and was just as refreshing to drink. Great, friendly service. This T2B outlet is also situated in a great location. Why: Customise your tea to suit yourself with the quality T2 range. When: When in need of a quality brew. Afternoons are magic. Good for kids: More for the grown ups, yet there are a few sweet items on the menu for the kids. Take away: That's the idea.